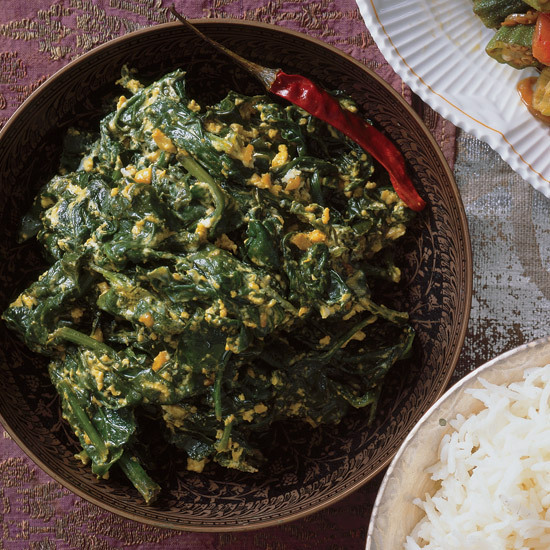 While researching a new culinary tour, expert food guide Peggy Markel visits palaces and home kitchens to learn the traditions and techniques of northern Indian cooking—and comes away with a bunch of sensational recipes. 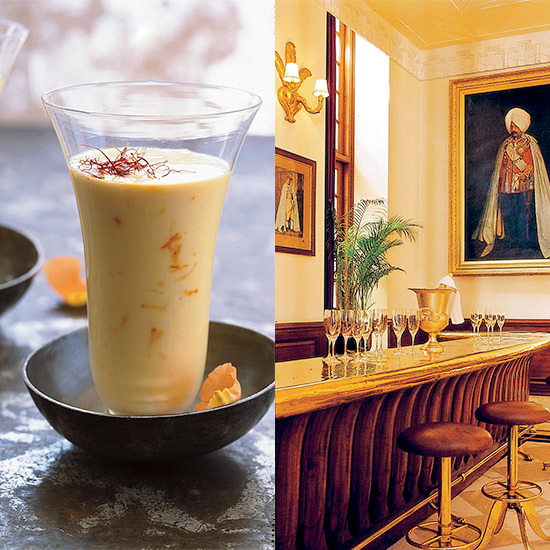 En route to Rajasthan, Peggy Markel stopped in New Delhi, where she stayed at the 1930s, Victorian-style Imperial hotel (left) and learned how to make this luxe yogurt shake. Corn is a key Rajasthani crop. 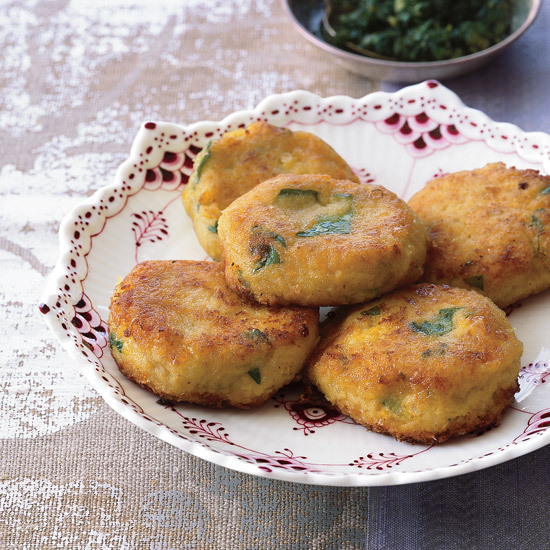 One local chef showed Peggy Markel how to make delectable corn fritters with chile mint sauce. In between lessons in palace kitchens, Peggy Markel stopped a Rajasthani homestay in the ciy of Udaipur. 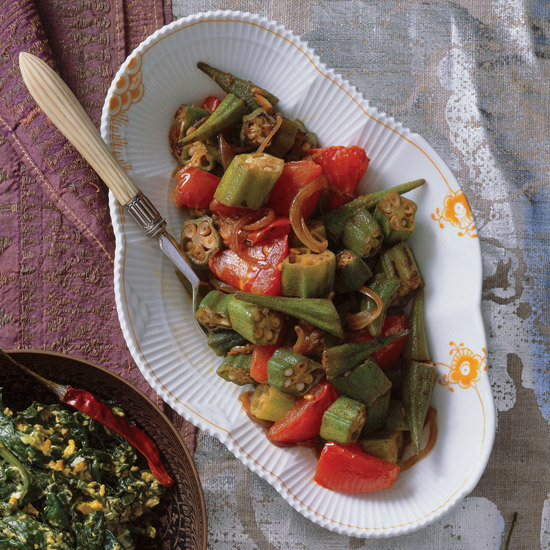 In their two-burner kitchen, husband and wife Vijay and Soban Singh Bedla showed how to prepare vegetarian dishes like okra stewed with tomatoes. "Even without sharing a language, I could understand the gestures of cooking," Markel says. Udaipur's 18th-century white-marble Taj Lake Palace hotel (left) is spread across a four-acre island, so fish dominates the modernized menu. Peggy Markel watched the head chef stuff pomfret (a flounderlike fish) with mint and cilantro, sear it on a marble slab over a wood fire, then prepare a luscious yogurt-cream sauce. The majority of Indians are vegetarian. 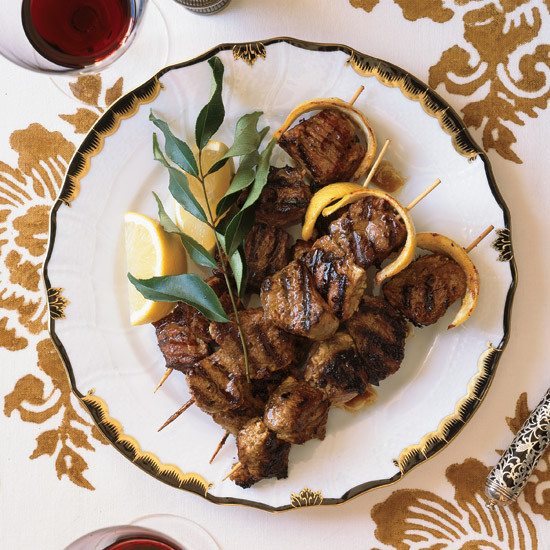 But Rajasthani royals loved hunting, and their cooks would have used venison for these fabulous kebabs, marinating the meat in yogurt to mellow the gamey flavor. 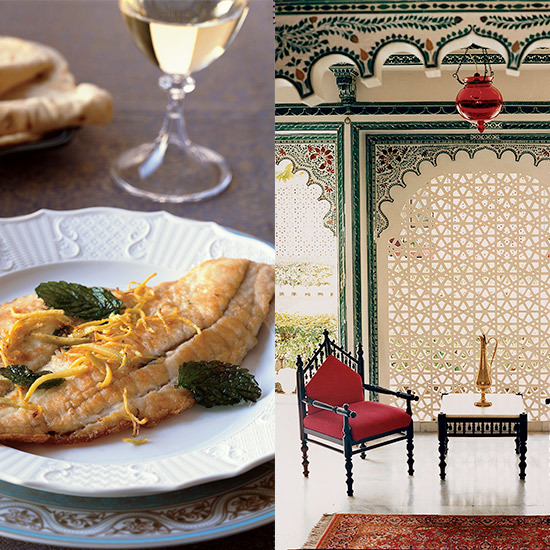 Peggy Markel learned the recipe at Shahpura Bagh, a royal summer residence transformed into a country guesthouse. Husband-and-wife Vijay and Soban Singh Bedla invite guests into their kitchen to watch them cook. Peggy Markel loved the way Soban grabbed spices without stopping to measure quantities, adding just the right amount of coriander and turmeric to this wonderfully rich spinach dish simmered in yogurt. Rice, a staple in much of India, doesn't grow in the desert climate of Rajasthan, so people eat millet instead, cooking the grains in buttermilk or yogurt rather than water. Peggy Markel discovered this millet stew at a morning cooking class. 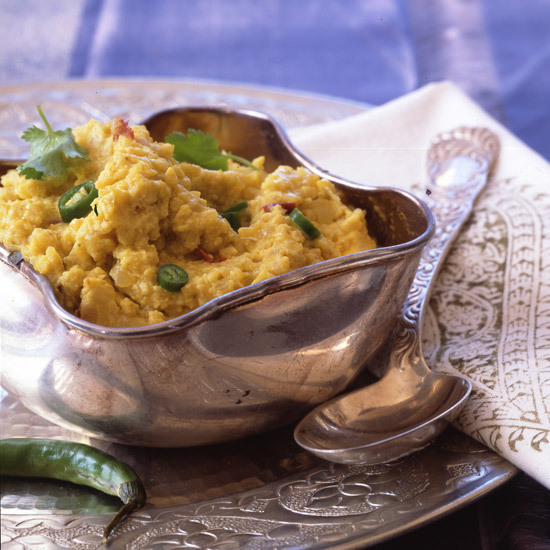 Vibrantly flavored with spices and chiles, the dish has the texture of pleasantly grainy mashed potatoes and is a great accompaniment to Rajasthan's tandoori meats.